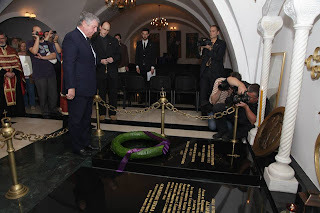 Belgrade, 11 June 2013 – His Royal Highness Crown Prince Alexander II laid a wreath on the tomb of Their Majesties King Alexander and Queen Draga Obrenovic. 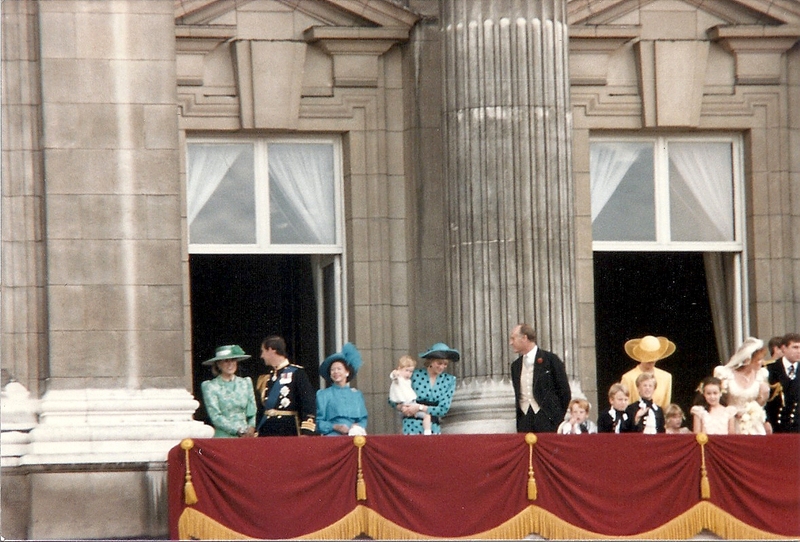 His Royal Highness was accompanied by Her Royal Highness Crown Princess Katherine. King Alexander and Queen Draga Obrenovic were assassinated in a coup d’etat on this date 110 years ago. The last King of the Obrenovic Dynasty was buried with his wife in the Crypt of St. Mark's Church in Belgrade. Prince Peter Karadjordjevic, the great grandfather of HRH Crown Prince Alexander II, was appointed King of Serbia by a Constitutional Assembly of the Serbian Parliament and Senate two weeks later. He was crowned King of Serbia on 21 September 1904 in St. Michael's Cathedral Church in Belgrade. The reign of HM King Peter I the Liberator was a period of great prosperity and stability for Serbia.